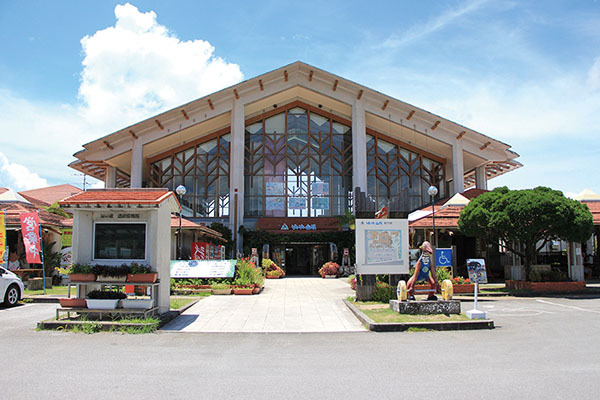 This roadside station includes a number of stores selling fresh village produce and processed goods such as unique kamaboko (fish cake) using squid. 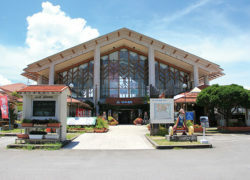 In addition, Inobuta pork (a boar-pig cross) is worth trying here, the only place in Okinawa that it’s served. Sata-ya’s sata andagi incorporating fresh dragon fruit from the village is also popular. 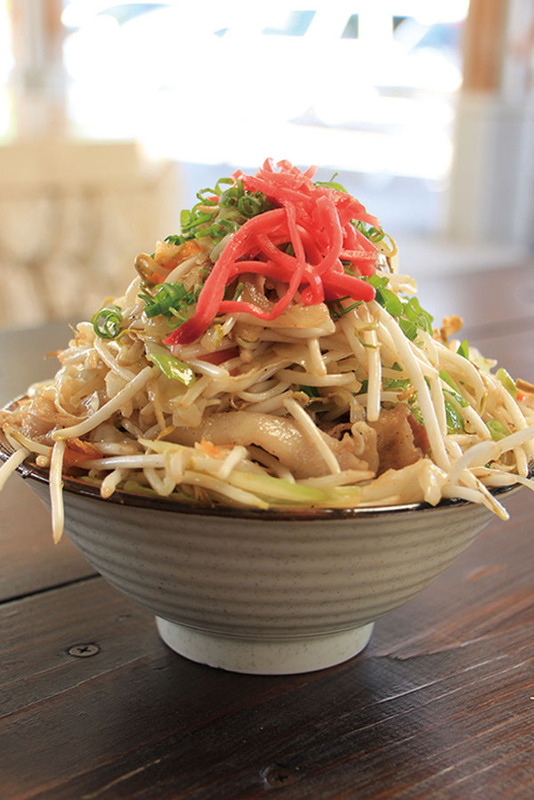 Waaya offers Inobuta pork with vegetable soba (¥800) and in a rice bowl (¥700).